Ever notice how one small change can kick off an avalanche of epic proportions?? Such is the case with our home at the moment. So, what am I referring to, you ask?? So, that’ll also need to be reorganized in preparation for the impending No Man’s Land Purge. Next, we have this furniture which previously lived where our newly revamped bench now sits in the master bedroom…. 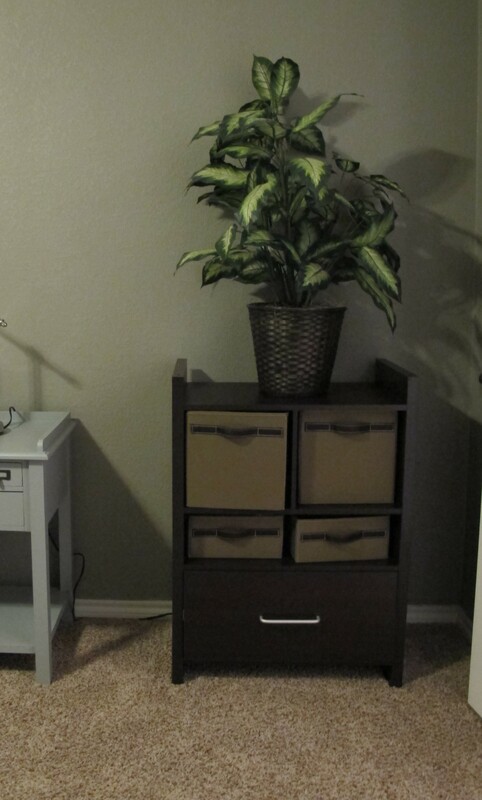 It went fine in our bedroom with the old nightstands, but with the new ones… not so much. So, it had to go. 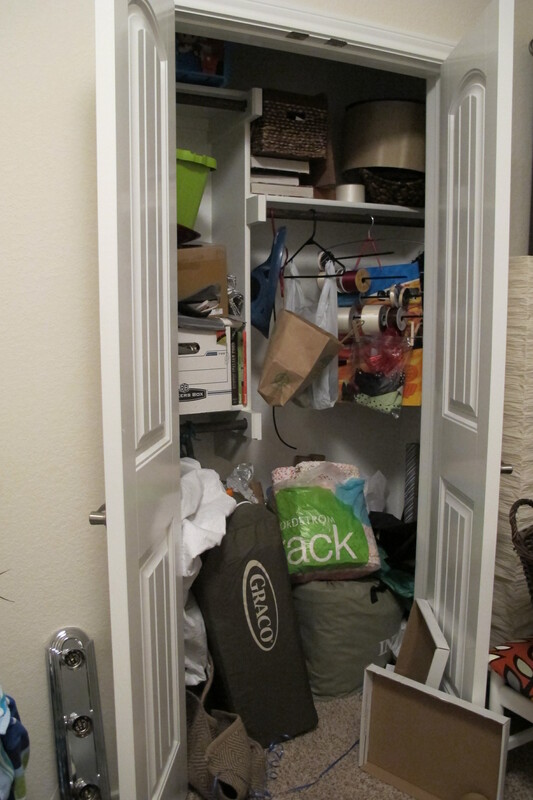 I decided that it’d also be useful storage in No Man’s Land’s closet. Problem??? It stored my tall boots, scarves, bathing suits, boot socks, etc. 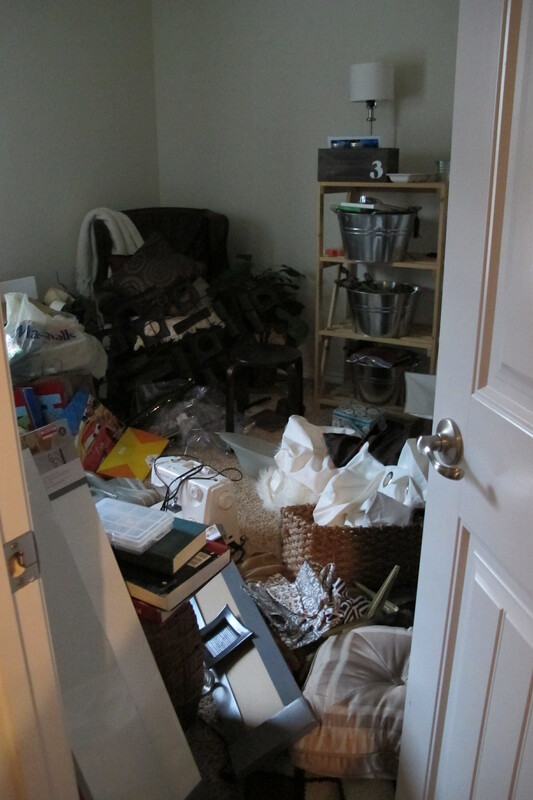 So, that stuff got dumped into our master closet. Which looks about as good as No Man’s Land right now (sorry… turns out the pic I took was not suitable for human viewing.). Thus, it will ALSO need to be organized and made functional. Heck, I’d settle for being able to enter and exit without experiencing mental trauma. And to think this all started with ONE. SMALL. CHANGE. One small change turned our house into a veritable organizational mad-house (not that it was a stellar example to begin with). So, with all of my closet secrets exposed (pun.intended), my goal will be to pump this house with organization. And to do it on a budget. 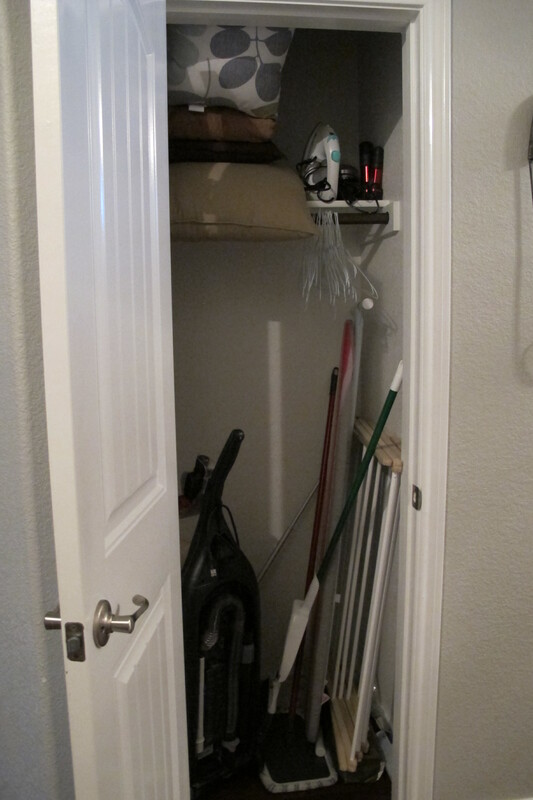 I want to utilize items we already have and find inexpensive storage solutions to make me less afraid of our house. I’ll be blogging about the experience, obviously, but can’t always promise pretty, clean before and after pics since this is real life and sometimes things just take time. I plan to chart our voyage as we go. Step by step. Little by little. Until it’s done. And just so ya know… The laundry room and Lucas’s closet are also on the list. They aren’t the new nightstands’ fault. That was all me. And Lucas. And Joey. But they could still use some sincere organizational help. P.S. A huge thanks to Lindsey over at Better After for featuring my newly revamped foyer cabinets! Check it out here!! We put shelves wall to wall about 14 inches apart in one closet and it’s been awesome.